Hello everyone! The holidays are upon us and just like you we are scrambling around finishing up last minute shopping and such. Fortunately our project today might be the easiest one yet, and the results are simply lovely: D.I.Y. 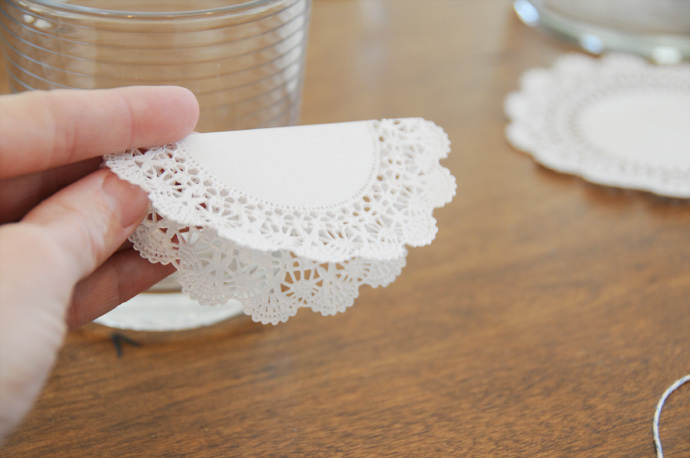 5 Minute Paper Doily Garland! Cut the length of Baker’s Twine that you’d like and sandwich your twine inside your folded doilies. Space doilies out as desired. The doilies will stay put pretty well, but continue to the next step if you want your doilies to be a little more secure. Hang and enjoy! Happy holidays from both of us to all of you!